Our Las Vegas Commercial Insurance policies combine protection from all major property and liability risks in one easy package. A Business Owner Policy or BOP is an commercial insurance package that assembles the basic coverage required by a business owner in one bundle. It’s easy to understand and it’s usually sold at a premium that is less than the total cost of the individual coverage. Las Vegas Commercial Insurance policies usually targets small and medium-sized businesses and typically contain business interruption insurance, which provides reimbursement for up to a year of lost revenue resulting from an insured property loss. General liability coverage is an important part of your business insurance strategy. This coverage protects against financial liabilities that may arise from property damage, lawsuits, injuries on that occur on business property, etc. In the event that your business can no longer function because of a covered cause of loss, this coverage helps make up for your business’ lost income. This coverage protects your business from employment-related claims, including workplace harassment, discrimination, wrongful termination, employment law violations, etc. 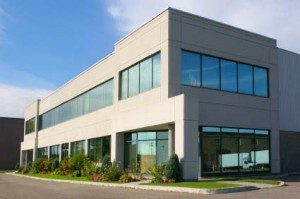 Your business property is an investment in the success of your company. Business property coverage can help provide financial compensation for your business property, like your buildings, equipment, electronics, furniture, and even your product inventory. If you own a business, you need to take one of the first and most important steps in protecting it. Give us a call today to determine how our Las Vegas commercial insurance can be customized for the unique needs of you and your business.